Governments in advanced countries have always been interested in fostering entrepre-neurship in order to generate innovation, economic growth, and job creation (BMWi, 2012; WEF, 2013; Autio et al., 2014; Herrmann et al., 2015,). As these socioeconomic impacts are per definition attributed to start-ups, it has been observed that there has been a shift in policy to focus more strongly on such high-growth firms (HGFs). However, policy makers recognize that their traditional policies often fail when it comes to strengthening the development of HGFs. 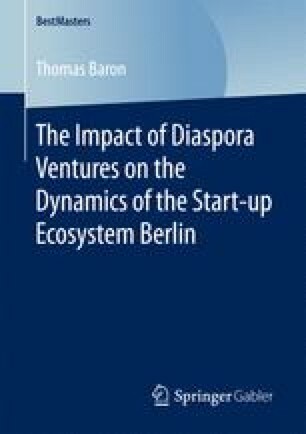 As a result, a general consensus has arisen among researchers that there is a need for taking a holistic approach when thinking about policy interventions; an approach that takes account of the distinctive types of environ-ments in which start-ups flourish – the start-up ecosystem (Mason & Brown, 2014).